Have you recently taken hot, cold, sweet, or sour foods that almost instantly triggered a sharp, sudden pain that was felt in the nerve endings of your teeth? Chances are this discomfort you are feeling is a symptom of a sensitive tooth. Tooth sensitivity often occurs due to an erosion of your tooth’s enamel or a receding gum line. These could have been brought about due to tooth decay, teeth grinding, chipped teeth, gum disease or vigorous brushing of the teeth. The critical factor that leads to tooth sensitivity is the exposure of dentin. Dentin is the part of the tooth that covers and protects the nerve endings. Dentin could be exposed due to receding gum or enamel erosion. Tooth sensitivity could be localized affecting only one tooth or it could affect several teeth. Tooth sensitivity could also occur after a visit to the dentist and a number of dental treatments, cleaning, or filling have occurred. You could use desensitizing toothpaste to help reduce sensitivity. Endeavor to floss your teeth at least twice a day. You could use a fluoride-based mouthwash to help reduce the acidity in your mouth and to help protect your teeth from decay. Stop using your teeth to open nuts and bottle caps. Avoid consuming acidic foods and drinks, such as soft drinks and beers, as they may exacerbate your tooth sensitivity symptoms. Stick to proper brushing techniques while you brush your teeth. If your tooth sensitivity is caused by teeth grinding while you sleep, you should opt for a mouth guard to wear at night. Ensure you stay hydrated as a moistened mouth is less likely to have teeth sensitivity issues. Salt water helps in increasing the alkalinity of the mouth and balance the pH. Salt water also plays a great role in reducing tooth sensitivity too. It reduces inflammation as well as kills harmful bacteria preventing an infection. For this remedy, warm up a cup of water and add half a teaspoon of salt in it. Stir well until the salt completely dissolves. Then, use the salt water as a mouth rinse. Hold the water at the place of sensitivity if swishing it around seems painful. Do this remedy at least two times a day to relieve the condition. Guava leaves are high in flavonoids which reduces tooth sensitivity. It also has an anti-inflammatory action which significantly reduces pain, swelling, and redness. Due to its powerful healing properties, guava leaves have been used in Ayurveda for many years to relieve toothaches. Take 1-2 guava leaves and wash it thoroughly. Now chew the leaves and spit it out after a couple of minutes. Repeat this remedy thrice every day. Using a desensitizing toothpaste is another easy and effective way to deal with tooth sensitivity. Such toothpaste is formulated with compounds that block the sensations of heat and cold from reaching the open nerve endings, thereby, reducing pain. You can get a desensitizing toothpaste in a pharmacy near you. Asafetida holds an important position in traditional medicine due to its carminative (relieving flatulence) action. It also acts as a powerful anti-inflammatory agent that helps in relieving pain and swelling. Take some powdered asafetida in a bowl and add lemon juice to make a paste. Then, dab the paste in the sensitive areas of your mouth to instantly reduce pain. You may also apply it directly to the tooth cavity. The cold temperature of ice will help you in numbing the sensitive areas and inhibit the sensation of pain. Ice would also help in bringing down the inflammation. Take a few ice cubes wrapped in a cloth and apply it to your cheeks near to the pain. Repeat this remedy several times in a day as needed to relieve inflammation and pain. You can effectively take advantage of the flavonoid, quercetin, present in raw onions to relieve your tooth sensitivity. Quercetin has an anti-inflammatory effect which reduces toothache symptoms. Besides, onions also prevent an infection due to numerous harmful bacteria that may be in your mouth. Put a slice of freshly cut onion on the affected tooth for 8-10 minutes and wash your mouth with water. You may use salt water to prevent a bad breath. Oil pulling is an effective method to deal with tooth sensitivity. It would help you reduce the number of harmful bacteria in your mouth as well as reducing plaque formation while improving your overall oral health. Take about 1 tablespoon of coconut oil (extra-virgin) and put it in your mouth. Swish it around your oral cavity for at least 20 minutes. Do now swallow the oil. Spit it out and rinse your mouth using lukewarm water to remove all the impurities. Now brush your teeth as usual. Follow this remedy every morning before you eat or brush your teeth. When it comes to oral problems, there is nothing better than cloves or clove oil. Clove oil has an analgesic effect which significantly reduces pain associated with sensitivity. Furthermore, its anti-inflammatory and antibacterial attributes make it an excellent ingredient to promote healing. For this remedy, dip a Q-tip in clove oil and apply it to the affected area and leave it for half an hour. Alternatively, add a little clove oil in a cup of warm water and use it as a mouth rinse. You may also mix a few ground cloves in olive oil and apply it to the sensitive areas of your tooth. If you want an instant relief from tooth sensitivity, you may consider using the mustard oil-rock salt paste. 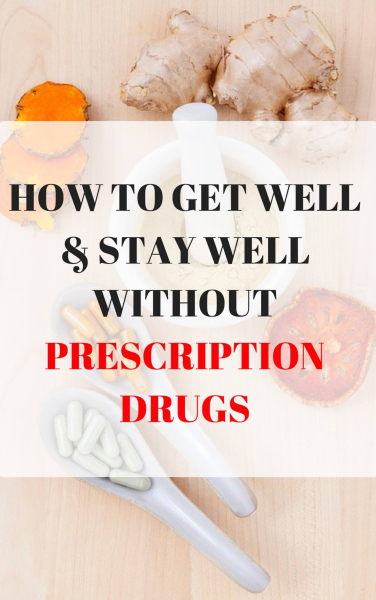 It is an age-old remedy to effectively treat the condition. You may easily prepare it by mixing a teaspoon of powdered rock salt with a tablespoon of mustard oil. Use this paste to massage on the affected tooth and the adjoining areas with the help of your fingertip and let it stay for 5 minutes before you wash away with water. Being an effective disinfectant, hydrogen peroxide may aid in significantly killing the harmful bacteria present in your mouth. In addition to that, hydrogen peroxide is capable of whitening your teeth in a natural way. Dilute 3% hydrogen peroxide with equal amounts of water in a cup and use it to rinse your mouth 2-3 times weekly. Make sure you do not swallow it. Doing this regularly would help in reducing sensitivity. Garlic is yet another effective remedy for most oral problems. It not only kills the bacteria that may damage your teeth but also reduces inflammation and pain almost instantly. Crush a garlic clove and add some water and a little table salt. Apply it to the affected area and leave it on for some time. Rinse thoroughly with salt water. You may also rub a freshly cut garlic clove on the affected area for 5-10 minutes to relieve the discomfort. Besides its high nutritional value, wheatgrass also posses great antibacterial properties. Therefore, it would help in reducing a bacterial infection and associated toothache. Extract the juice of wheatgrass and use it to rinse your mouth for some minutes every day to deal with the condition in a natural way. Chewing the wheatgrass is also an easy and effective remedy for tooth sensitivity. Maintaining a good oral hygiene goes a long way in keeping your teeth in its best form. Besides brushing your teeth twice every day, it is important to floss at least once a day to prevent the accumulation of plaque. Also, rinse your mouth after every meal. Use a soft-bristled brush to clean your teeth and gums for at least 2 minutes. This would help in removing the harmful bacteria and improving your overall oral health. If you have oregano oil in your pantry, you may use it to effectively treat a sensitive tooth. In addition to having high levels of antioxidants, oregano oil is also known to have anti-inflammatory and antibacterial qualities which you can use to deal with a problematic tooth. For this remedy, dab some oregano oil directly on the affected area of the mouth with your fingertip and let it stay for 12-15 minutes. Wash your mouth with warm water thereafter. Repeat this remedy twice every day. Foods and drinks that have high acidity may ruin your tooth enamel and expose the nerve ending. These foods and drinks may worsen your condition and make it difficult to heal the sensitivity. To prevent this, avoid eating foods such as tomatoes, citrus fruits, pickles and salad dressings temporarily. You must also avoid consuming soft drinks, beers, tea, citrus fruit juices, vinegar and red wine to protect your tooth enamel from any harm. If you are looking for a soothing remedy for relieving pain from a sensitive tooth, try using vanilla extract. Vanilla extract calms down the irritated area and brings down pain considerably. All you have to do is dab a little of it on the affected area and leave it for some minutes. This remedy can be repeated, as needed, to get rid of discomfort and pain. Take equal parts of salt and black pepper powder in a bowl and add water to obtain a paste. Then, dab the paste on the affected tooth and let it stay for a little time. Rinse your mouth with water. Do this remedy once daily for several days to greatly alleviate the problem. Salt and pepper work together to use their anti-inflammatory and analgesic properties to reduce swelling and pain. 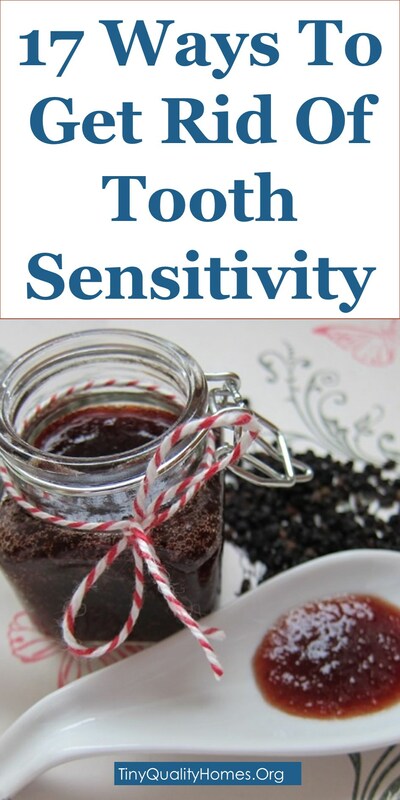 This combination is probably one of the easiest and cheapest ways to get rid of discomfort associated with tooth sensitivity.